I was recently pondering how blessed we are to have such fantastic homeschool resources in our home. And I also started thinking about what would happen if we lost all of that. How would we homeschool if we had none of those books on hand? And although it would be quite inconvenient not to have books or any purchased curriculum, I decided that with an Internet connection, a printer, and our Kindles, we could manage with free online resources. 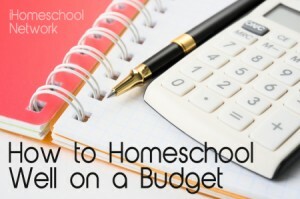 Here is an outline of what I would use for homeschool if I had no money for curriculum and nothing on hand. What free resources do you use? 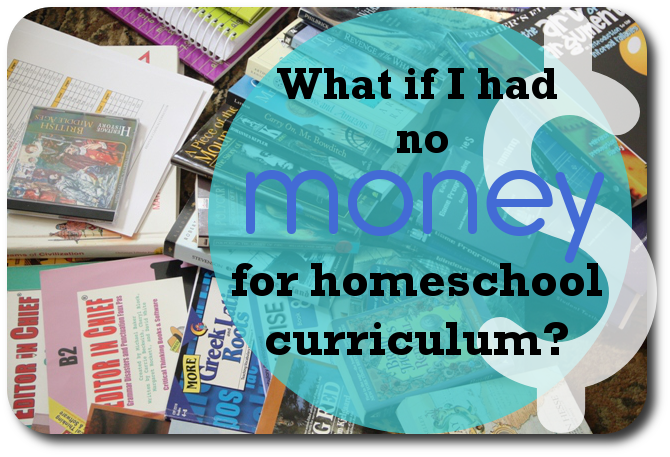 What would you use if you had no money for homeschool curriculum? I’ve used a lot of free stuff either to supplement, as a spine supplemented by lots of living books, or as part of a course I’ve designed myself for one of my kids. For history this – http://worldhistoryforusall.sdsu.edu/shared/units.php has some great units. And this – http://www.studentsfriend.com/ – can be used as the slimmest of spines. For maths, we’ve had great use from this site – http://www.cimt.plymouth.ac.uk/projects/mep/default.htm – although it isn’t American which might be a problem for some (not me though – I’m in New Zealand). There are plenty of great choices available for literature study guides. My daughter has enjoyed this – http://www.shmoop.com/literature/. They also have history, civics, economics and others. The tone can be a bit glib at times which might be a concern. This – http://www.litcharts.com/ – has been another favourite. Cliff’s Notes are freely available – not necessarily exciting but they can be good as a spine to ‘hang’ various library books etc on. I like those Scott Foresman Science Readers! Thank you! Khanacademy.org has a very thorough catalog of free video math lessons and has expanded to include a lot of science and a decent bit of history and finance too. I used some of the math videos with my son for reinforcement. I look forward to exploring your links. I am forever searching on line to find fun free sites that add on to what we are studying. But haven’t really explored more complete curriculum on line. That said here are a few of our favorite sites that if not “complete” curriculum provide a lot of meat in a given area. BBC has lots of good history resources, granted from a British perspective but given the breadth of the British Empire I found their sites a great history resource. Nice info. and forms for different types of writing that you can then print out in a fitting format. This site has tons of stuff, much of which I haven’t explored by I have found the writing prompt games at the bottom of this page a useful and fun way to focus on different parts of speech or writing ideas, especially useful in getting reluctant writers or those who fear an empty page, or don’t know what to write started. 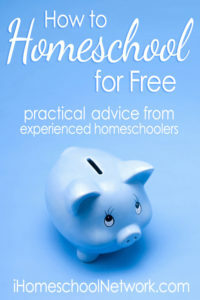 I’ve posted often on my homeschool blog about free resources we’ve used. They are more random (not a complete curriculum) but if you have a good outline, you can fill in the details with just a little Googling. LearningPage.com has simple science unit studies (grade pk-3) to download and print as well as worksheets on lots of math subjects (calendar, time, money, etc.) all free when you join. multiplication.com has tons of great fun drill games for practice. FREE FREE FREE! Most major curriculums offer their scope and sequence or their table of contents as a sample download. It’s free, and you can use it. It would be nice if you did need to purchase something as a go-along to subsequently purchase it from their site. Great post, Jimmie. There is SO SO much out there! You really could do it all (almost) on the internet. I have put together a huge collection of free homeschool resources. My family uses this site every day for our school. I piece our curriculum together from there and as we’re using it I’m writing it up as a free curriculum. Homeschool Free Stuff evolved into Easy Peasy All-in-One Homeschool, every assignment for every subject from Pre-K through high school graduation, all free. You are right – the internet is a vast and priceless (free) resource for almost everything you’d need! Lee’s blog has a very comprehensive list! When moms ask me for free resources, I’m always amazed at how long the list is! I’m bookmarking your post under “Freebies” to pass on. Thanks! When my older children were ‘littles’, there was no Internet! Life was simpler, but you had buy that curriculum:-) Now, with the second batch of kiddos, the Internet is our friend. We still buy our share of curriculum and we still love pen and paper, but places like Starfall.com, various spelling sites, and certainly lapbooking sites have become a mainstay in our family. Homeschoolshare is such a blessing. Even with 18 years of homeschooling behind me, everyday is a new adventure and the Internet takes us to so many exciting places (like Christmas in China:-) Thanks for sharing! There is a new appointment on my blog: Love of Learning, this time about use and misuse of textbook in learning process… do you want take part in? Add this programme to your math freebies – Mathematics Enhancement Programme. http://www.cimt.plymouth.ac.uk. (Known as MEP for short.) It is an excellent programme. Yes! I am using MEP Reception with my 5 year old and we are absolutely loving it! I would use it even if it wasn’t free, but the price is a lovely bonus. I second the vote for khanacademy.org. I use this frequently, and my son loves this resource. I also use mainlesson.com which has lots of free books online. I have an iphone, and there are plenty of free apps that contain classic literature collections. This fall I challenged myself to homeschool with only the curriculum and various resources I already had, and not to buy anything new. I found that I have more than plenty to keep us busy, but I still love researching the internet for new ideas. I love the links and some I have already visited. I wish we could do school with just a laptop, printer and an e-reader. That would be an utopian homeschool! For reading instruction using phonics, I would suggest Progressive Phonics – http://www.progressivephonics.com/ – which is always free to download and print. I have taught two to read using this curriculum. You can also find a copy of Anna Comstock’s “Handbook of Nature Study” for free – http://www.archive.org/details/handbookofnature002506mbp .Along with that, I would go to the Handbook of Nature Study – http://handbookofnaturestudy.blogspot.com/ -and Harmony Fine Art’s – http://harmonyfinearts.blogspot.com/ – blogs by Barb. Not only does she have wonderful freebies and details of her own homeschooling lessons on her blogs, she also has regular features like “Sketch Tuesday” that you can follow along with. She also has low-cost download and print lessons that you can purchase. Another author, Jan Mader of Ignite to Write, posts a new writing prompt every few days and you just type in your writing as a comment on her blog. These are short writing spurts. Although, she hasn’t written anything new in about a month (holiday break? ), you can still go back to previous posts and write with those prompts, and resume when she returns. Kathy Barbro who writes the Art Projects for Kids blog – http://www.artprojectsforkids.org/ – has lessons for homeschoolers as well as classrooms. Her page is very well organized and you can look for lessons by grade, artist, or medium (on the left side of the page). She also has some low-cost murals you can purchase, as well a some sewing patterns for her Rumpled Quilt Skins stuffed animal patterns. If you have a budding economist, historian, or politician in your house, you might want to direct them to the Ludwig Von Mises web page. They have lecture series for high school students that are free. If you live near Auburn University in Auburn, AL, you may be able to attend one of the free lectures, or listen to them live via streaming audio. There are videos you can watch, and I recommend beginning here: http://mises.org/media.aspx?action=category&ID=202 – They have many free audio files and videos of lectures on history and (Austrian) economics, as well as other related subjects. Readwritethink is a great resource for languate arts. However, I want to say that “free online books” are often NOT free because I, for one, don’t like to cozy up to the computer screen to read to my kids. Printing at home costs money (ink, paper) and sacrifices quality. Printing at a print shop costs more money for better quality, but often by then the price is so high that you could just buy the book used for less. For Jewish freebies, chinuch.org is the ONLY site to visit (the word “chinuch” means “education”). Everything is free, and you can share your own materials. What an excellent post! I love all the resources that are available through the Internet. Thank you so much for sharing and thank you to all your readers for the resources left in the comments. Thank you for all the great resources, especially the Prentice Hall Science Explorer resource links (my oldest is using SE this year). I use http://www.schoolexpress.com for any worksheets I need. A few people mentioned khanacademy.org. So I wanted to add, in case anyone would find this helpful, that you can actually set up a free account with Khan Academy, and your student can use it as an actual math program from basic addition all the way up to the higher maths. It is more than just watching videos, with the free account you can do practice problems, it will tell you when to review some more or when to move on to a new concept, it will track the student’s progress so that the teacher/parent/coach can see how the student it doing, etc., etc. It really is a lot that is offered for free. You must check out Easy Peasy! !